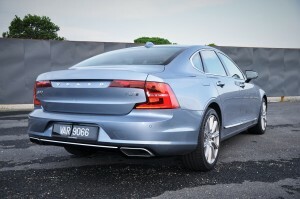 “Volvo S90 T8 Twin Engine Inscription Plus”. Say it three times really fast and you’ll get your wish for stronger tongue muscles. 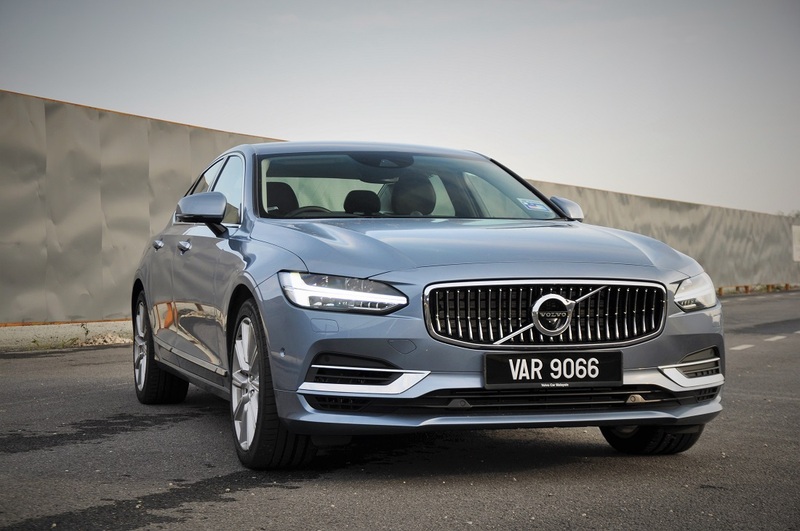 FYI, the S90 is Volvo’s flagship sedan. The “T8 Twin Engine” label goes on all Volvo models with dual powerplants i.e. an internal combustion engine and an electric motor. In other words, this is a plug-in hybrid. 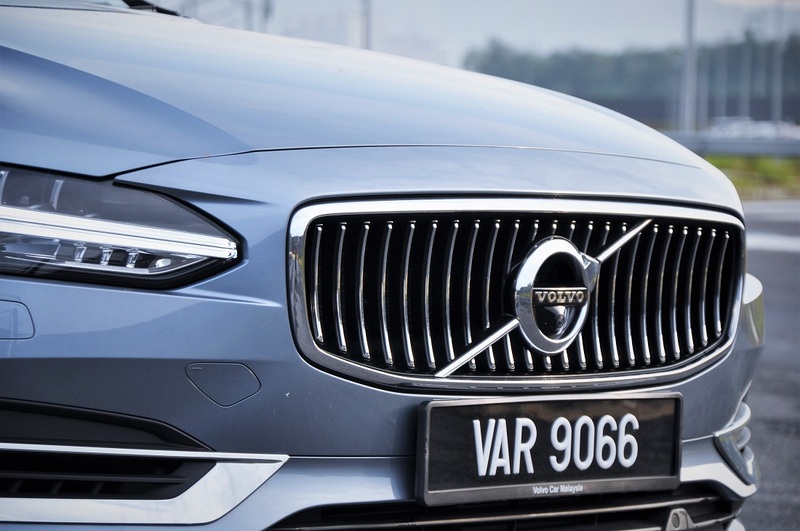 “Inscription” is a fancy name for one of the available trims; the only one for this locally assembled Volvo. 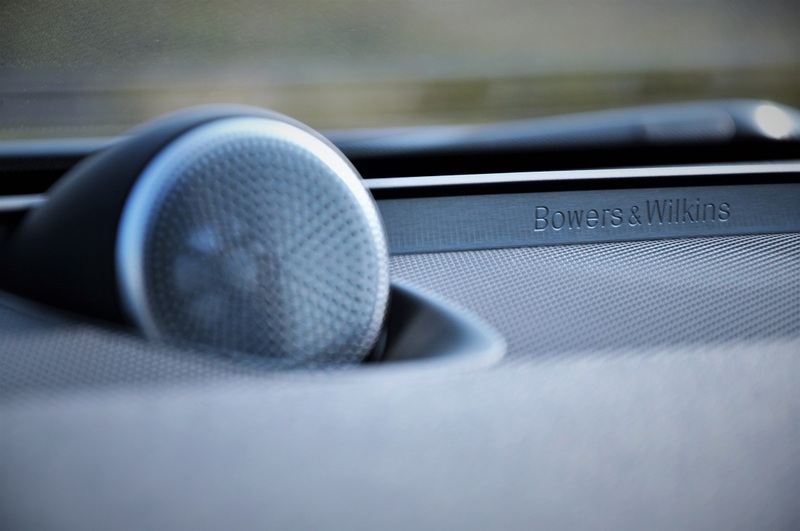 “Plus” stands for the inclusion of a premium Bowers & Wilkins audio system, electronically-controlled adaptive dampers with rear air suspension and a powered boot lid. Volvo’s use of simple straight lines was a breath of fresh air when this new design was first revealed. 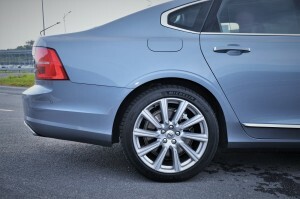 Its taut lines look basic yet elegant, and gives the car a low-slung appearance. 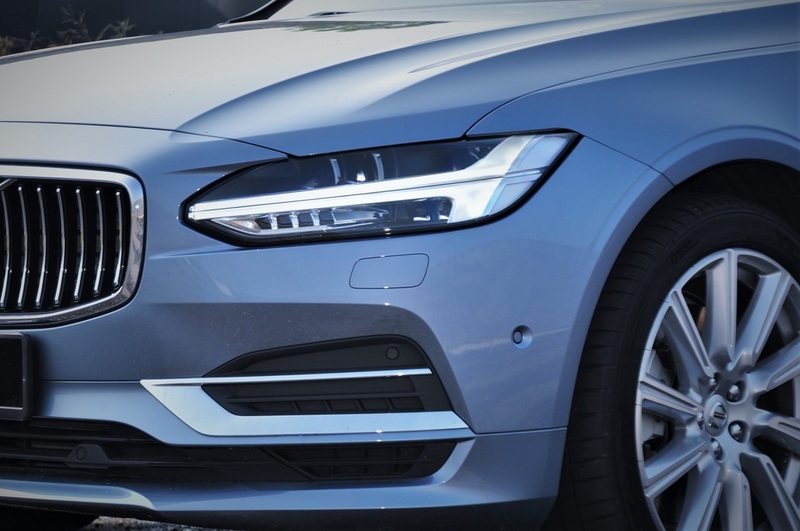 One of the first things to strike someone looking at the new Volvos is the Thor’s Hammer LED lights nestled with the Active Bending Lights. But while the clean design of the car may hold up to the test of time, the use of the same face throughout the brand’s model range might be wear it thin. However, that is no different from what other brands are doing. 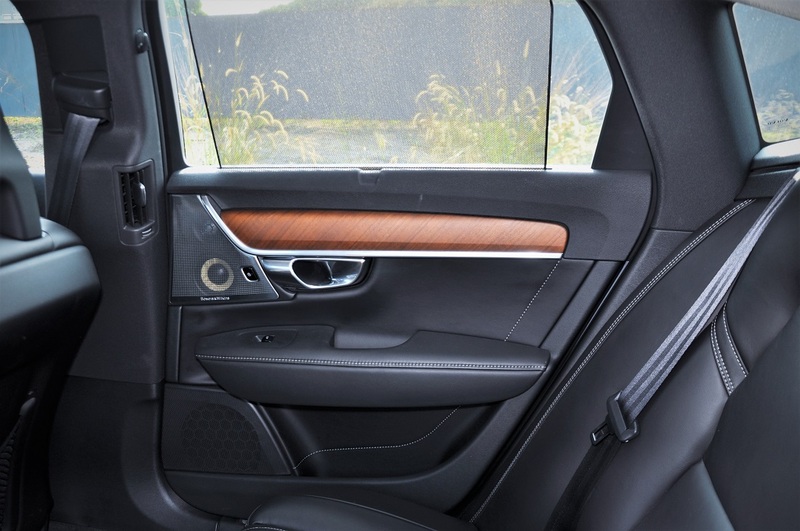 The clean design outside is also brought inside with walnut wood trim representing premium classiness (and as a last resort for firewood). 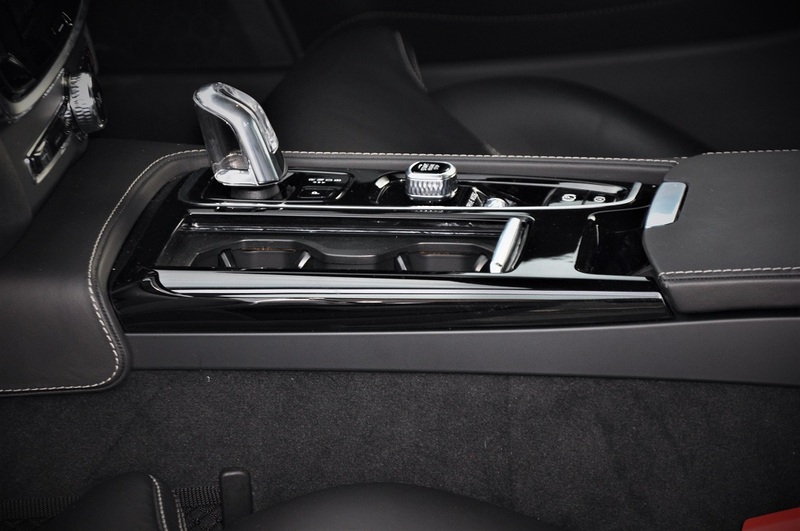 The interior also gets Nappa leather, a jewel-like Start-Stop knob and an Orrefors-crafted crystal gear knob for added class. 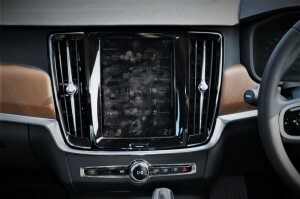 The tablet-like 9″ touchscreen will appeal to the techno-geeks and those who enjoy the sight of fingerprint smudges (possibly the only stain in an otherwise neat interior). 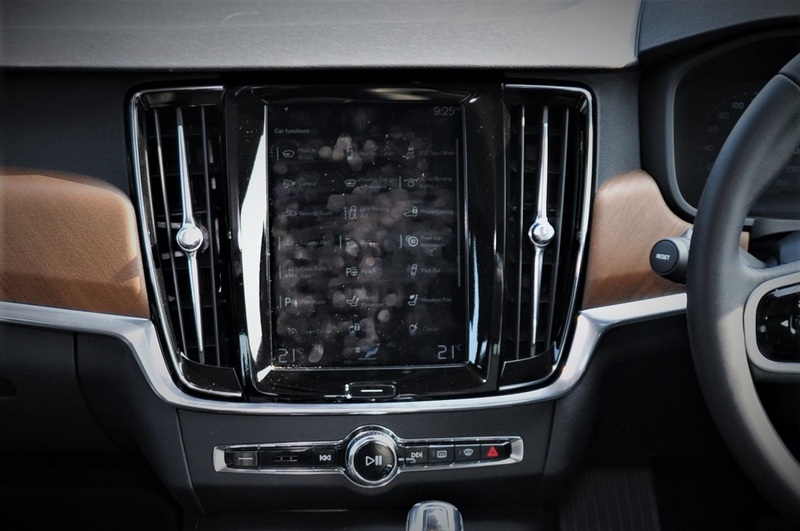 With many of the car’s functions (and this includes remotely folding down the rear headrests) placed within this central tablet, the dashboard is nearly devoid of physical buttons, in line with the tidy design. 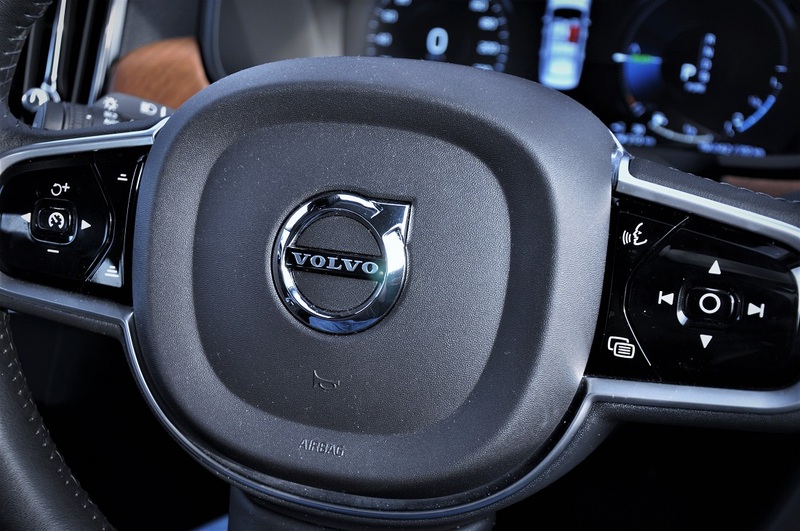 Volvo’s rationale for the use digital controls is so that future adjustments and improvements can be made to firmware and updated without the need for physical changes. 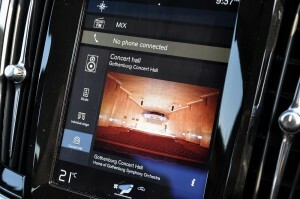 The tiles or virtual buttons on the touchscreen can be moved about according to your preference. However, the downside to digitization is the lack of tactile feel so it takes a while to get used to where the controls are on the screen. 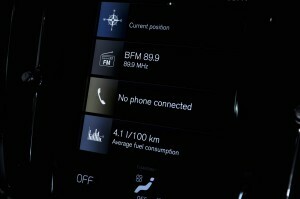 Further, like the rest of its compatriots, the metre cluster has also gone digital, and with a choice of three layouts. 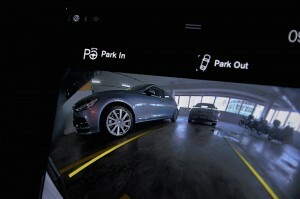 The driver is also aided by a color head-up display. 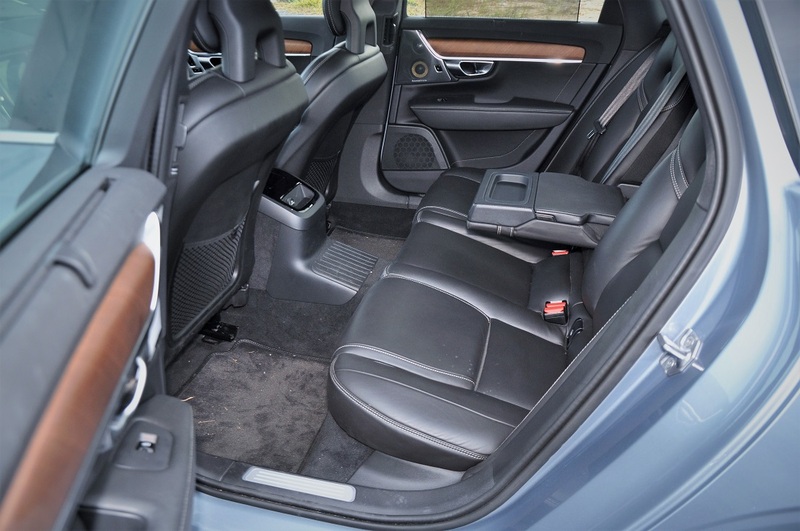 Rear legroom is great, except for whoever sits in the middle due to the high centre floor and hard backrest that hides the armrest and cup holders. 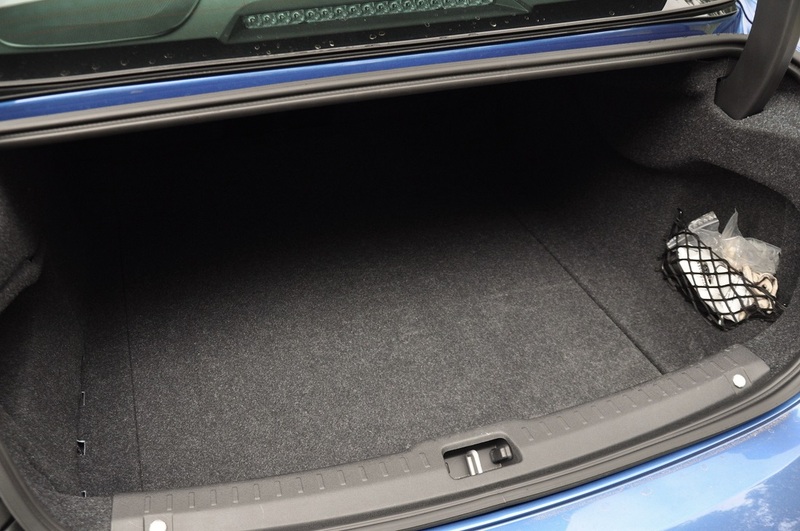 The bulge in the floor though mildly annoying, houses the battery pack, which means you don’t sacrifice any space in the 500-litre boot, and enjoy split-folding rear seats. In line with Volvo’s practice of making the car practical and safe, the rear seats have two integrated child booster. More practicality comes from the slot in the front armrest to cradle your phone and the notches in the cup holders that fit the key fob. 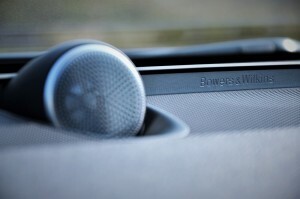 Part of the premium you pay for the Inscription Plus trim is the 1,400-watt, 12-channel, 19-speaker Bowers & Wilkins premium sound system. 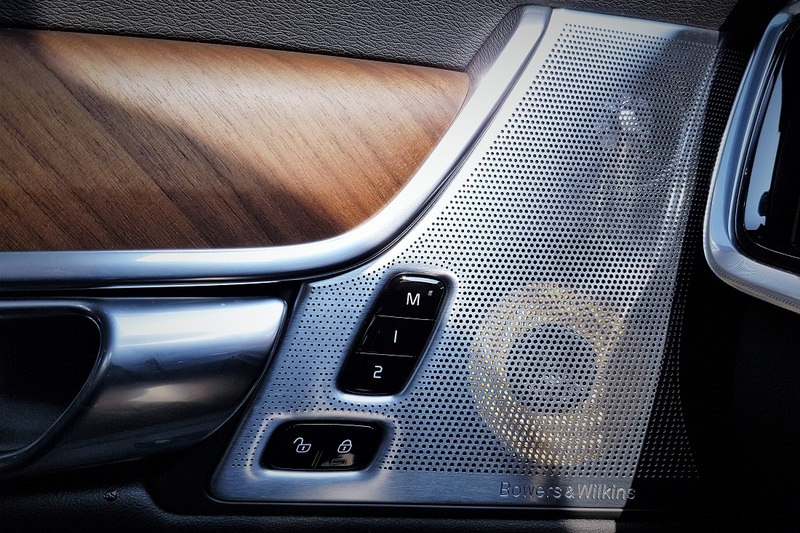 The yellow Kevlar speakers in the doors and the Nautilus tweeter on the dashboard were designed during the development phase of the car to fully optimise the acoustic quality of the cabin. 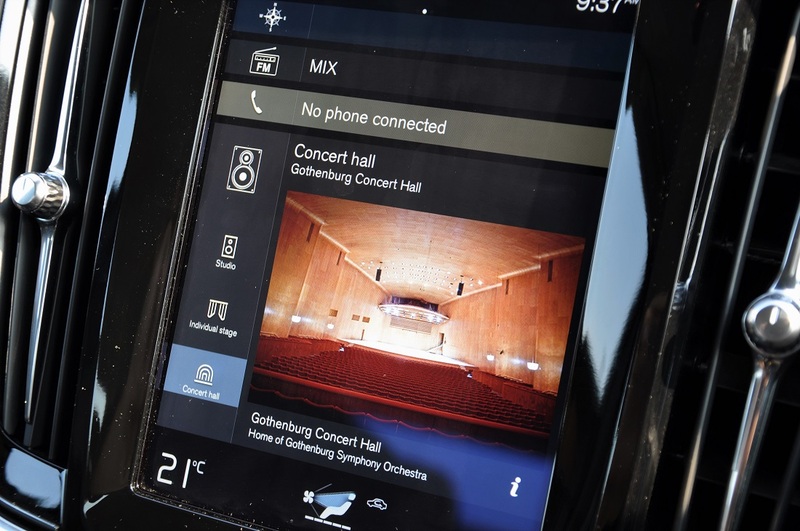 This sound system has three settings – Studio, Individual and Concert Hall which mimics the acoustics of the Gothenburg Concert Hall. The S90 T8 uses a 2-litre twin charged engine to drive the front wheels and an electric motor to drive the rear, effectively eliminating a drive shaft (this is the space where the battery is placed). 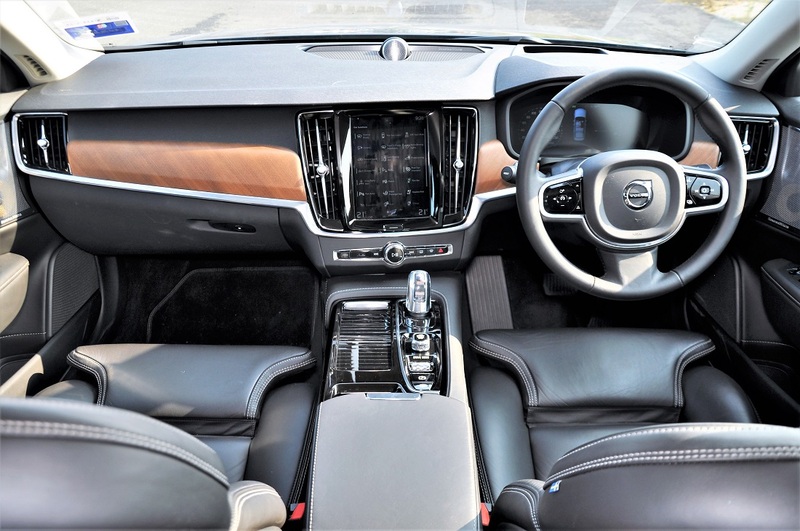 In unison, the two powerplants produce a total of 407hp and 640Nm which gets transferred to the wheels via an 8-speed gearbox. 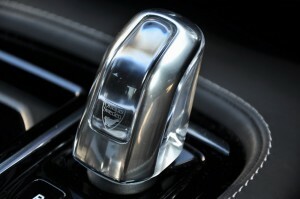 This is good enough to move the car from 0 to 100km/h in 4.8 seconds. On a full charge, the 10.4 kWh lithium-ion battery is capable of a 50 km range in electric mode. But that’s provided you don’t zoom about trying to match the claimed century sprint time. 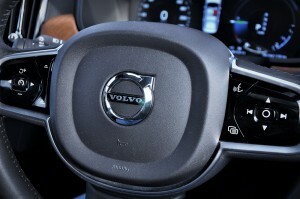 Volvo also claims an average fuel consumption of 2 litres per 100 km. 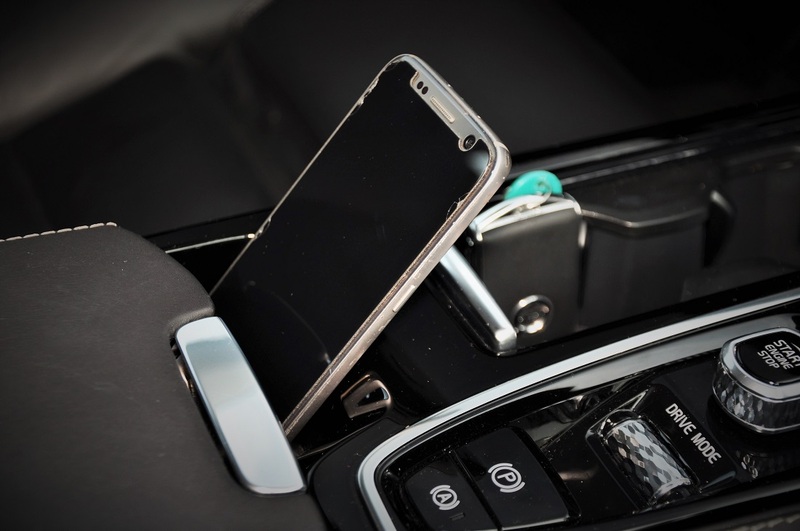 In real world usage (and depending on how you use it), the battery range is shorter and the consumption higher. It is however, possible to come close to these claimed numbers but it necessitates careful planning and driving in the right conditions. 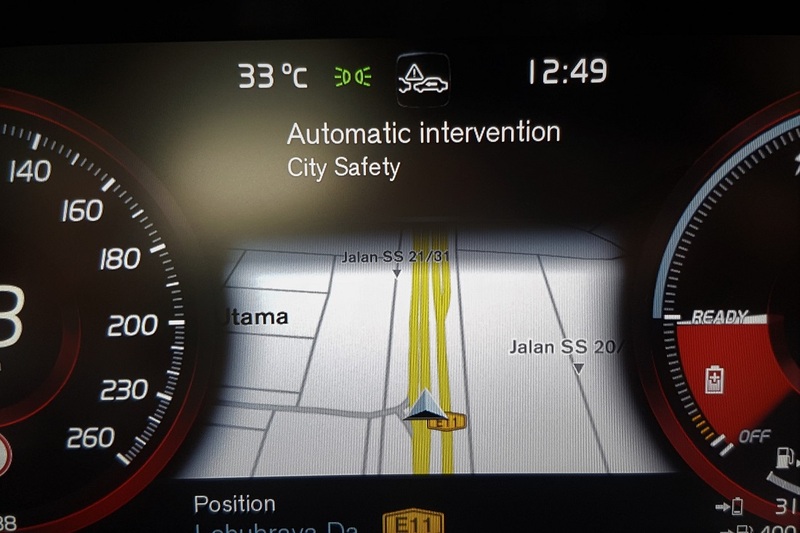 For example, if you are on a relatively traffic-free road, you can get the car to prioritise the use of the engine so that you save the battery for use in heavy traffic. 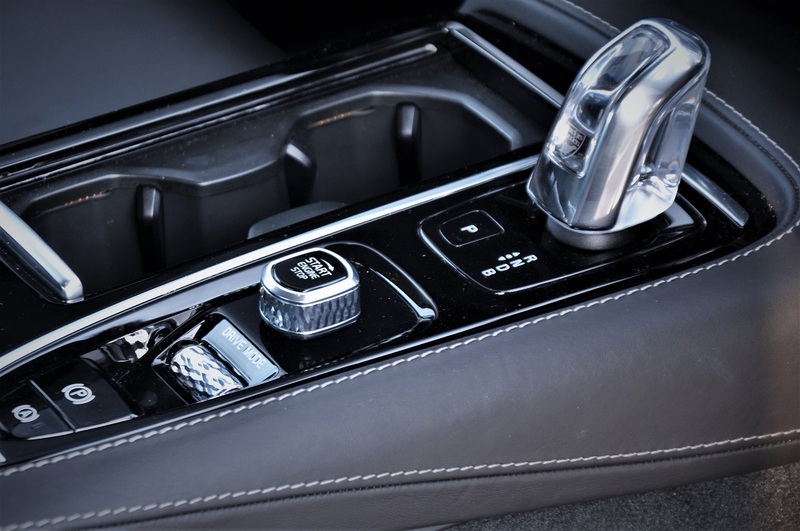 Likewise, if your battery is running low, you can direct the system to charge it momentarily with just enough juice to get you home in full electric mode. 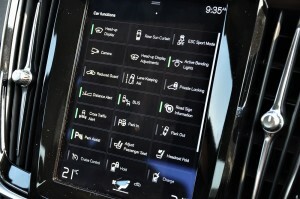 All the necessary information and controls are found within the touchscreen. 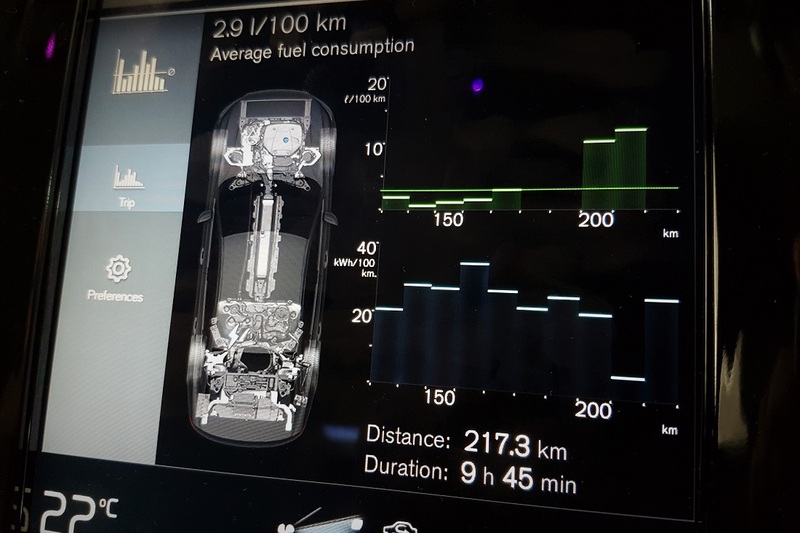 After several days of driving around KL and PJ, my best effort was 2.5 litres per 100 km; all done without using charging stations along the way since the review car didn’t come with a portable charging cable. 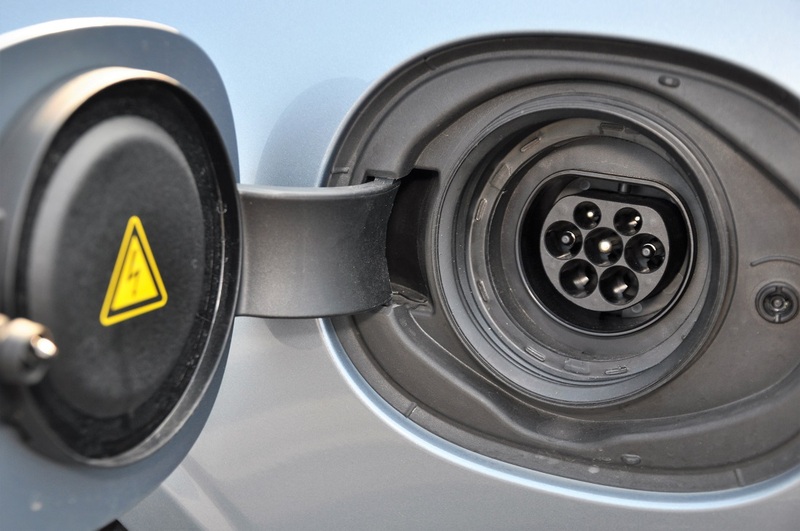 Thus, it isn’t impossible to keep petrol use to a minimum as most urban commutes fall within a 30 km range. 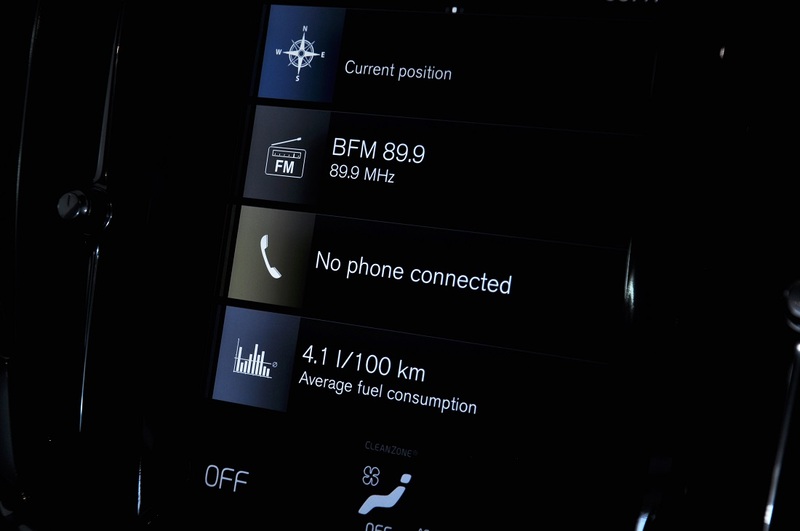 What would spoil this is the temptation to engage Sport mode and enjoy all that power, and I foresee this happening more than a focused effort to conserve fuel. 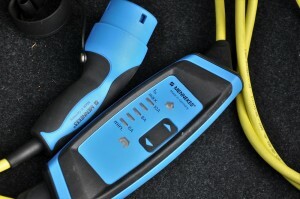 In the end, I returned the car having averaged 4.1 litres per 100 km due to the prolonged idling during the photoshoot. 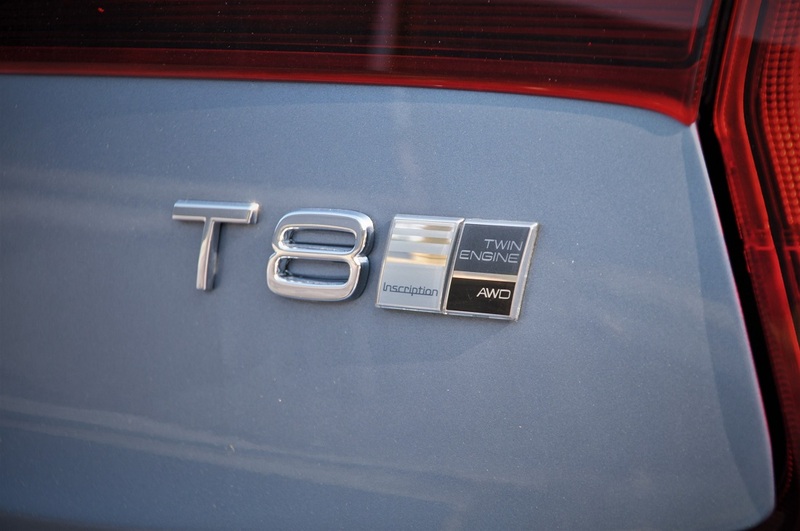 The S90 is relatively quiet except for the times you accelerate hard. 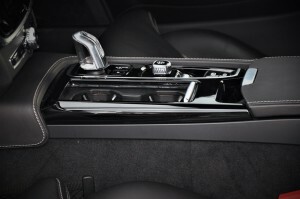 And with a relatively silent powertrain, you start paying attention to other types of noises. There’s no major issue here once you are aware and adapt accordingly. 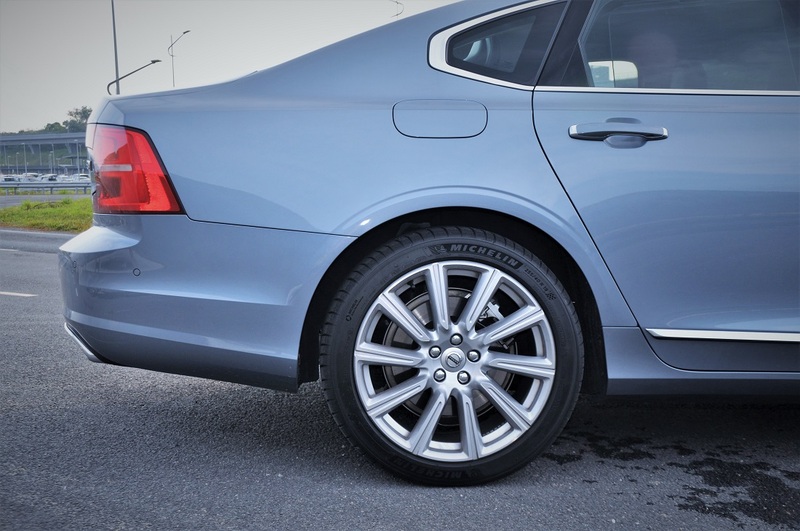 Speaking of adapting, the adaptive dampers and rear air suspension are helpful in isolating most of the bumps to give you a comfortable ride. 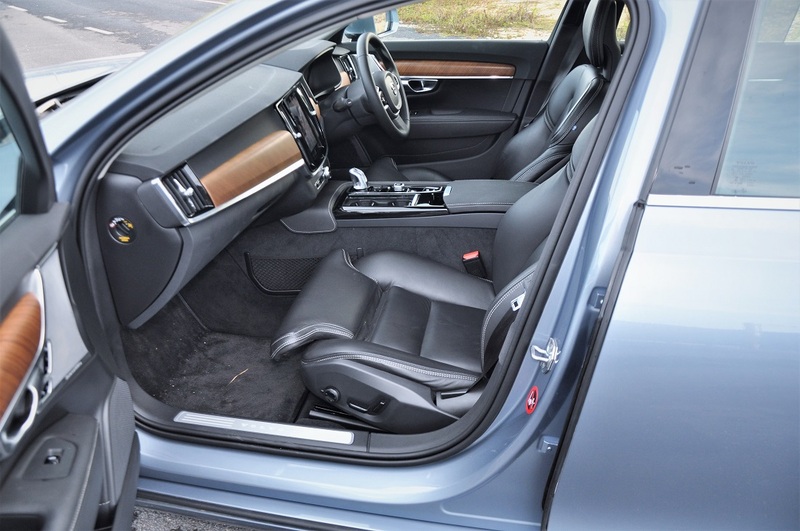 Even though the chassis is stiff enough for some fun driving, its bulk and stature isn’t quite suitable for aggressive cornering. 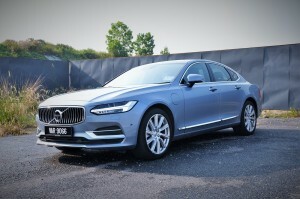 The S90 doesn’t handle any worse than its class rivals but it doesn’t blow any of them away either. 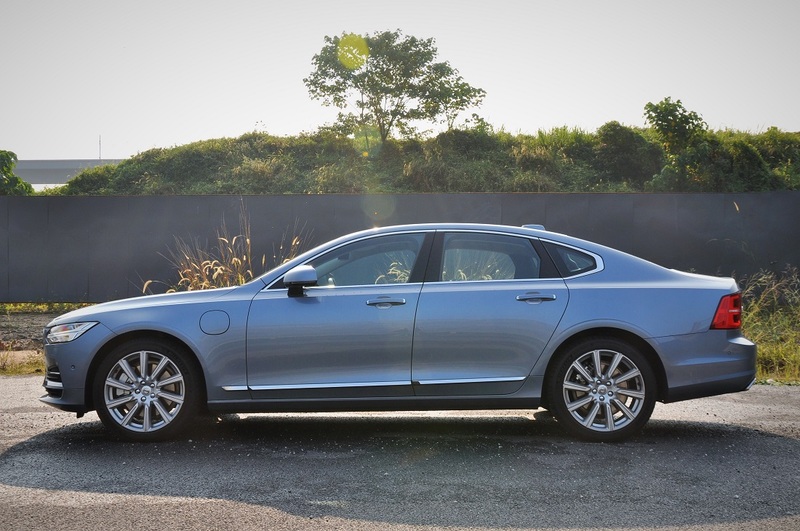 Volvo’s claim to fame is safety and in the S90, it continues this tradition. Its IntelliSafe suite contains such features as City Safety which includes pedestrian, cyclist and large animal detection, and auto braking, cross traffic alert, Run-off Road Mitigation, hands-free assisted parking, 360° camera as well as Pilot Assist which is a semi-autonomous driving feature that works with the active cruise control. Pilot Assist will maintain the car within the lane markings (as long as the cameras can detect them) and at a pre-set distance from the vehicle ahead. 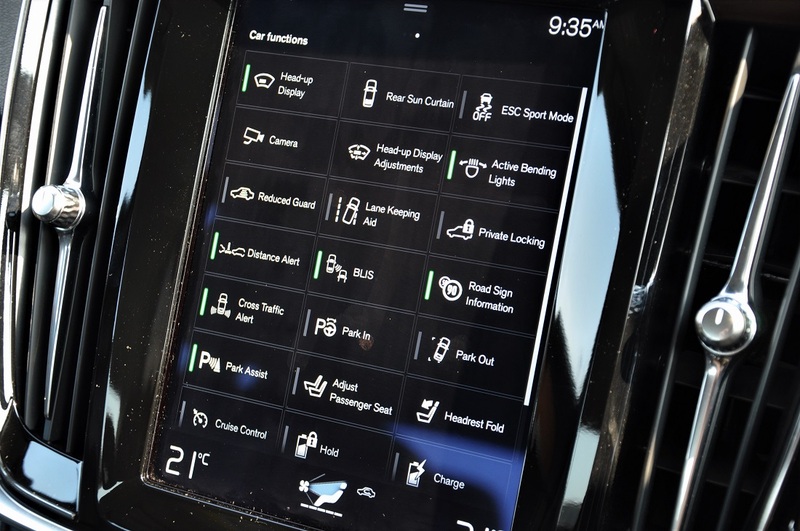 You don’t have to steer the car except at more acute bends or when lane markings disappear and Pilot Assist is automatically disengaged. You are however, still required to pay full attention, with eyes on the road and hands on the steering. 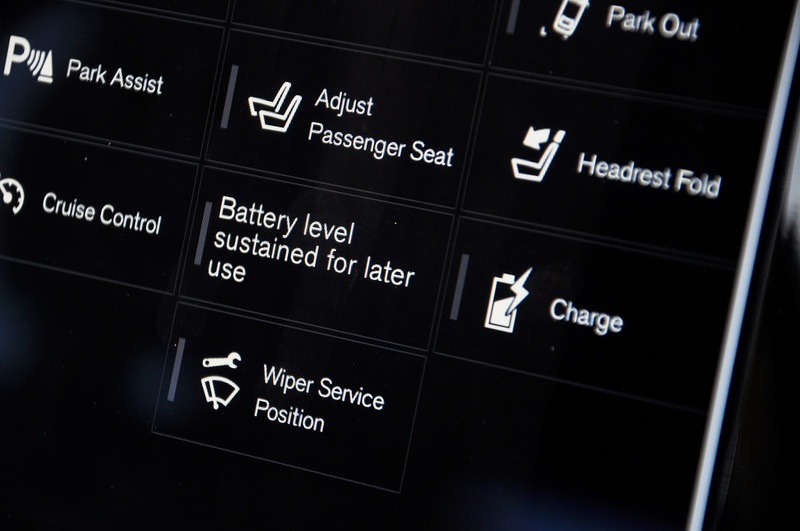 The main objective of Pilot Assist is to aid you in driving and reduce driving fatigue by making small corrections frequently for you. 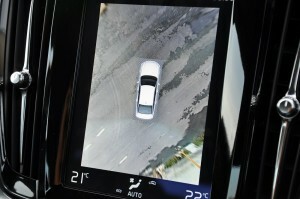 This is not a fully autonomous function and you should not treat it as such. 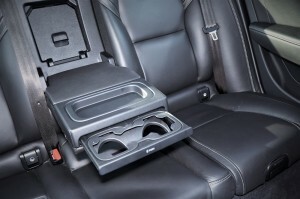 Some will enjoy these driving aids but some might find it too intrusive e.g. 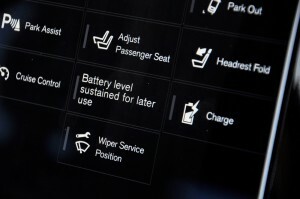 Lane Keep Assist etc. 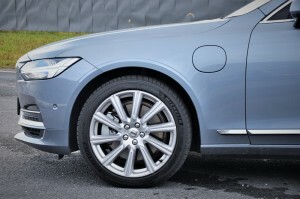 But these features in the S90 is a preview of the future of motoring. 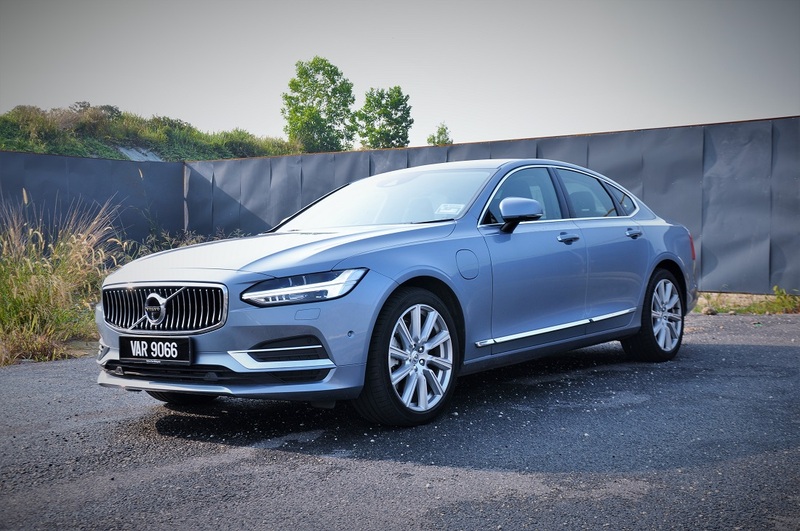 Being a locally assembled hybrid, the S90 T8 enjoys government incentives but in its price range, brand snobbery is a notable factor and there’s no denying it. 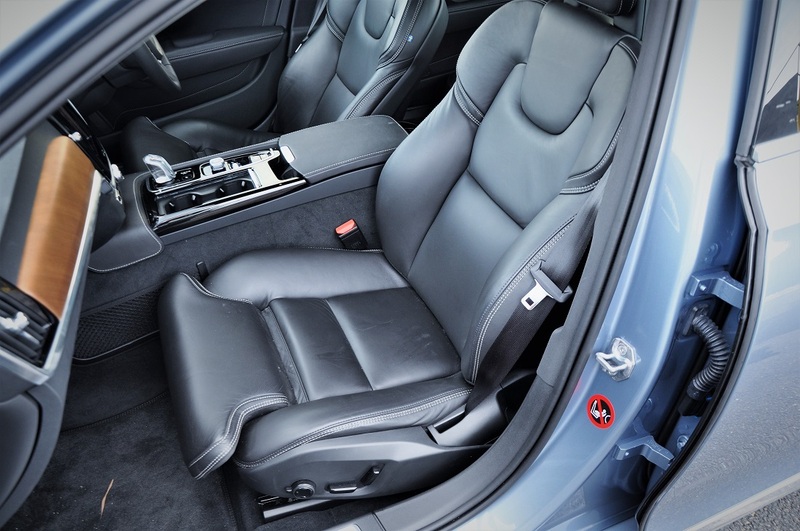 However, if you are open to a car that is just as well made and equipped, then this is another option to the conventional premium brands. 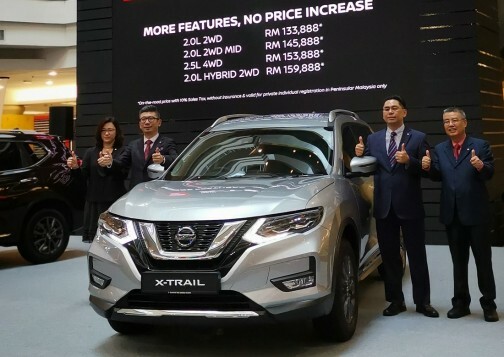 And unless you’re on a personal crusade to reduce the use of petrol, most buyers would likely be just enjoying the power from the ‘twin engines’, and the benefit of the tax break. 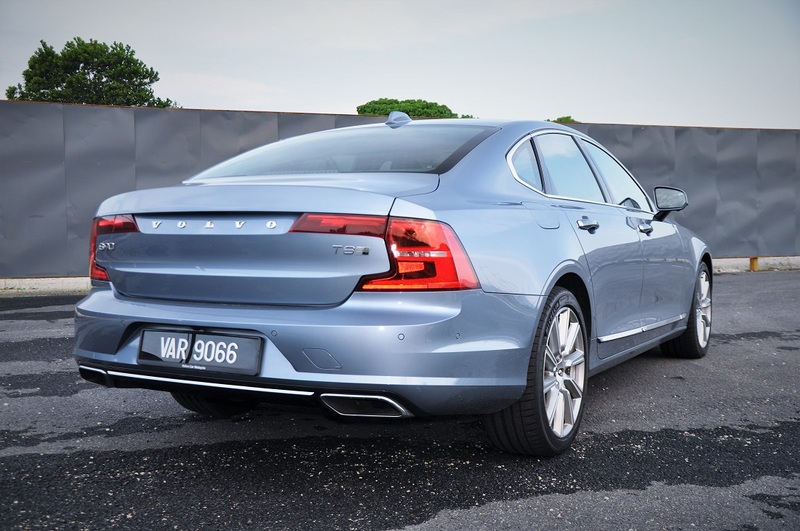 Further, if you don’t see value in the B&W sound system or the rear air suspension, then save yourself about RM20k and get the Inscription trim (minus the ‘Plus’). 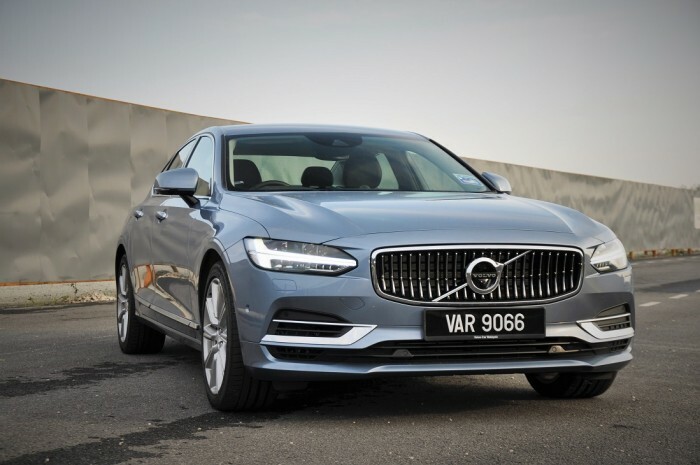 The retail price for the Volvo S90 T8 Twin Engine Insription Plus is RM388,888 (on the road without insurance). 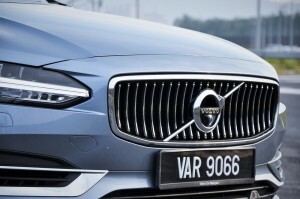 With that comes a five-year unlimited mileage warranty and five-year Volvo On Call roadside assistance.